Private users can buy a single licensed copy of Nero 2017 Classic or Platinum Suite for MSRP US $99.99 and MSRP US $129.99 respectively online at www.nero.com or from retailers. Owners of a previous version of Nero can also upgrade at a special price. 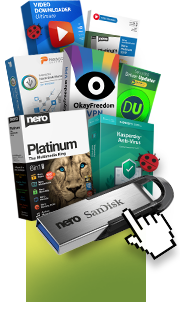 The familiar standalone solutions Nero Burning ROM (US $49.99), Nero MediaHome (US $19.99), Nero Recode (US $39.99) and Nero Video (US $49.99) have also been enhanced with the relevant functions and can be purchased online at www.nero.com. Nero offers special volume licenses for companies, public agencies, educational institutions and non-profit organizations. These come in three versions: Nero 2017 Standard – Burning ROM, Nero 2017 Premium and Nero 2017 Platinum.